Southern Pines, NC -. The North Carolina Captive Insurance Association became the first captive insurance association in the country to adopt a Code of Ethics affecting all of its member companies when the Board of Directors voted to adopted the Code at its May board meeting. Current and aspiring members of the NCCIA will have to sign a written pledge to adhere to the 10 canons of the code. Thomas Adams, the association’s President and CEO said in a letter to the association’s membership releasing the Code, ”The newly adopted code is the result of a year-long effort by the NCCIA’s Committee on Ethics chaired by Jonathan Reich as part of North Carolina’s commitment to maintain a high quality captive industry in the state. In making the decision to become a captive domicile, Insurance Commissioner Wayne Goodwin, the NCCIA and the legislative leadership agreed that the industry here would be a leader in the captive industry through ethical application of the captive insurance statute.” Continuing “The newly adopted Code of Ethics is a natural step in the progression of North Carolina’s rise to be a leading domicile in the nation.” The NCCIA Board believes that the Code will help grow the industry in the state and help demonstrate to the public that captives will be managed ethically and responsibly in North Carolina. The new Code of Ethics is aspirational by design and NCCIA believes is the first such code developed specifically for the industry. Prior to its adoption the only ethical safe guards were the codes of ethics of the individual professions. A Code did not exist for the professionals or entities in North Carolina involved in the captive industry prior to the NCCIA’s action. Current and future members of NCCIA will be asked to sign an intent to comply pledge to retain or obtain membership in the association. The Code of Ethics becomes effective on June 1, 2015 and will be discussed in detail at the NCCIA Annual Conference, August 24-26 in Charlotte. In addition to a session at the conference, special outreaches to the association’s membership will occur beginning today. The North Carolina Department of Insurance has been informed of the NCCIA action. Members of the NCCIA Committee on Ethics are: Jonathan Reich, Chairman, Meghan Brown, Jeremy Colombik, Amanda Brinkley, Mike Meehan and Danny Plante. View the NC Captive Insurance Association Code of Professional Conduct by clicking here. 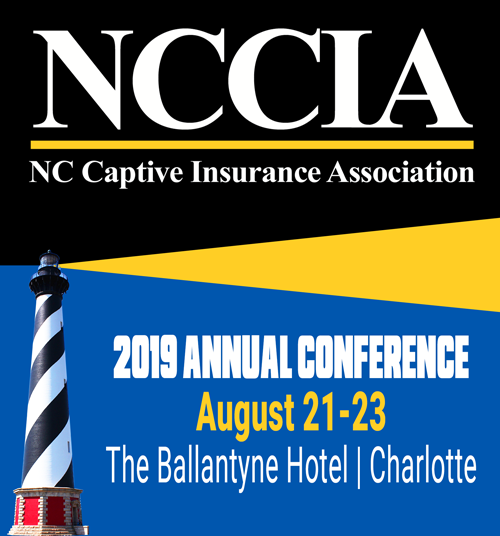 North Carolina Captive Insurance Association, Inc.